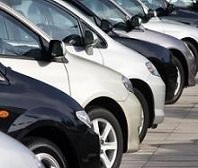 We specialise in supplying low cost car fleet insurance policies to small and medium size businesses. Comprehensive fleet car insurance policies - fleet company car insurance quotes - multi vehicle insurance policies. 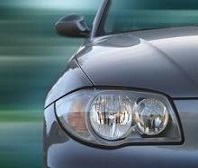 Contact us for a low cost, quality, fleet car insurance policy - small fleet insurance - company car insurances policies. At Devon Direct we really can help you protect your vehicle fleet with our competitive and comprehensive fleet insurance policies including car rental fleet insurance. Call us now and speak to one of our experienced team. Our staff will work hard to negotiate the most competitive premiums for you, with the best levels of cover. As an independent fleet broker our aim is to provide you, the client, with the best premium we can negotiate without compromising the cover and personal service we can offer. 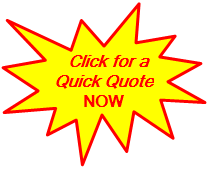 Click this link for a fleet company car insurance quote. Today's "credit crunch" environment has made it very difficult for many businesses, including those that need to operate commercial vehicles in order to carry out their every day activities. We can offer commercial vehicle insurance quotes for small to medium size businesses and can place most commercial motor insurance requirements, from a single vehicle trade van, to multiple vehicle operations requiring multi vehicle insurance policies. Our commercial fleet insurance can cover most vehicle types including vans, heavy goods vehicles, cars and motorbikes or any mixed combination of these vehicle types. As a van insurance company, Devon Direct can offer multiple vehicle insurance including cheap van insurance, fleet car insurance and group van insurance policies. For a van insurance quote why not call us on 01803 698 456 and check out our range of competitive van insurance quotes and let one of our experienced, helpful staff quote you for your van fleet insurance. We offer business vehicle insurance policies for a wide range of business activities and can offer multi vehicle car insurance, fleet company car insurance and mixed vehicle fleet insurance quotes. The comprehensive range of commercial vehicles insurance policies we have to offer compare favourably with most other commercial vehicle insurance available in the fleet insurance motor UK market place. For a commercial insurance quote for your vehicle fleet call Devon Direct on 01803 698 456 or email us at sales@devondirect.net and let us give you our best shot for your commercial insurance vehicle quote. In addition to our general UK fleet insurance offerings we also handle car sales motor insurance for dealers in the Torbay area where our head office is located and can supply policies tailored specifically for the motor trade based in Devon. So, if you need cheap van insurance or any other type of fleet insurance policy, be it for a single van insurance UK policy, a company car insurance quote or any other commercial car insurance, call us on 01803 698 456 for any type of UK fleet insurance including car hire fleet insurance. Devon Direct is fully authorised to deal in commercial motor insurance by the Financial Conduct Authority (FCA), which is the regulatory body that oversees the sale of financial and general insurance products in the UK. We are an independent fleet insurance broker with many years experience in assisting small to medium size businesses looking for a low cost, quality, fleet car policy. At Devon Direct, we specialise in small fleet insurance polices including fleet van insurance. Please contact us if you are looking for a competitive fleet car policy. We are sure we can help you save money. Public liability insurance for contractors and tradesman, shop insurance, office insurance, motor trade insurance and all general commercial insurance as well as UK holiday home insurance (including contents) and motor insurance for previously convicted drivers. For more details and quote/purchase options, please click here. For low cost car fleet insurance cover - car rental fleet insurance quotes - multiple vehicle insurance policies. Is cover required within the next 30 days? 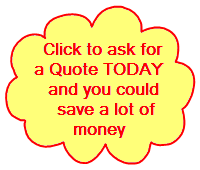 Most customers could get a cheaper quote from us over the phone.